SEE OUR 2009 FOALS .... CLICK HERE ! 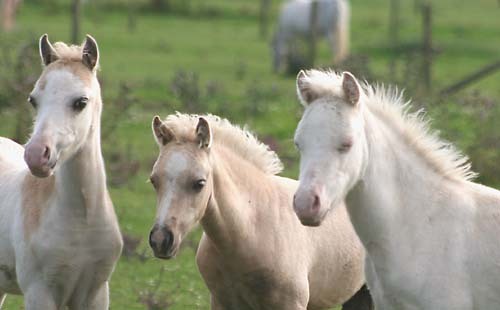 Breeding Quality Welsh Mountain Ponies which have won at major shows, affiliated to the Welsh Pony and Cob Society, National Pony Society and the British Palomino Society. Kind temperaments and very versatile. We are situated in Hampshire, within easy reach from both the M3 and M27 motorways. OUR 2009 FOALS HAVE NOW ARRIVED. [ see our FOR SALE AND FOAL pages ]. ALL CONTENT ON THIS SITE, INCLUDING PHOTOGRAPHS ARE COPYRIGHT OF J.JONES AND P.WALKER, TOGETHER WITH THOSE PHOTOGRAPHERS WHO ARE CREDITED WITH THEIR RESPECTIVE SHOTS AND CANNOT BE PRINTED OR USED IN ANY WAY.